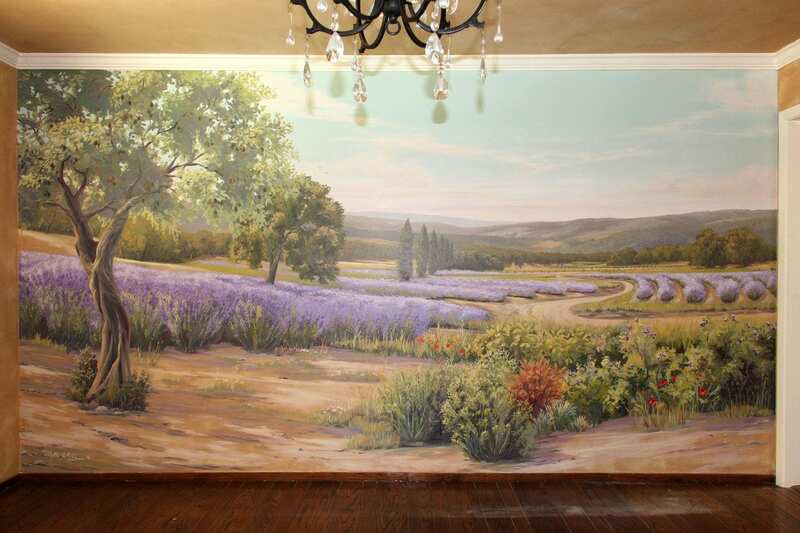 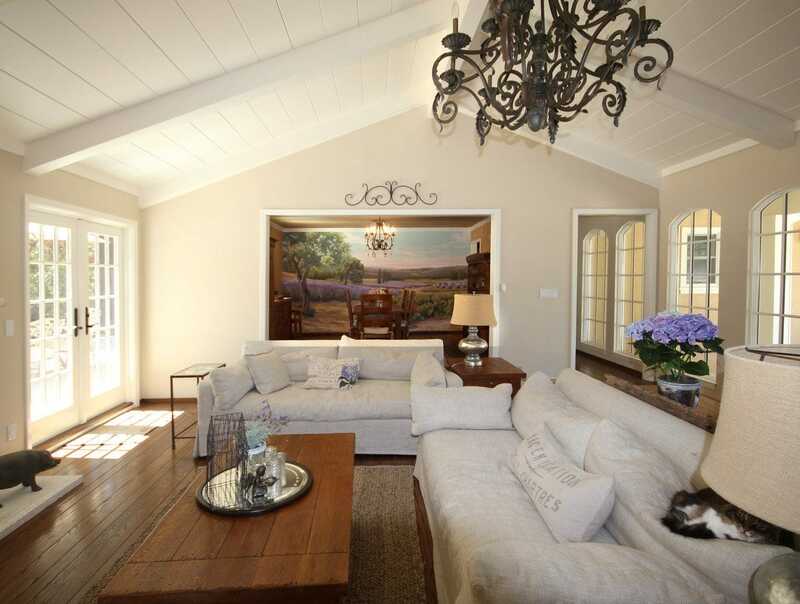 This field of lavender is the new centerpiece artwork for a french provincial inspired home in Los Altos. 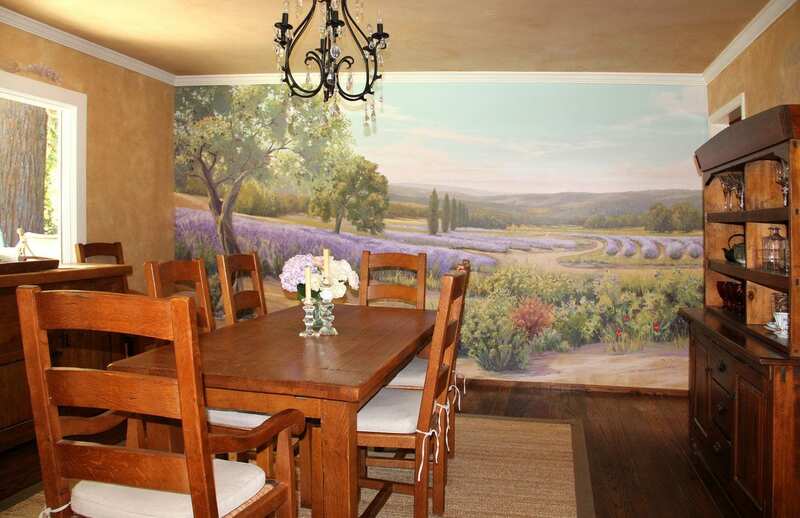 The architecture, furniture, and now art all echo the relaxed abundance of the good life in sunny southern France, one of their favorite vacation destinations. 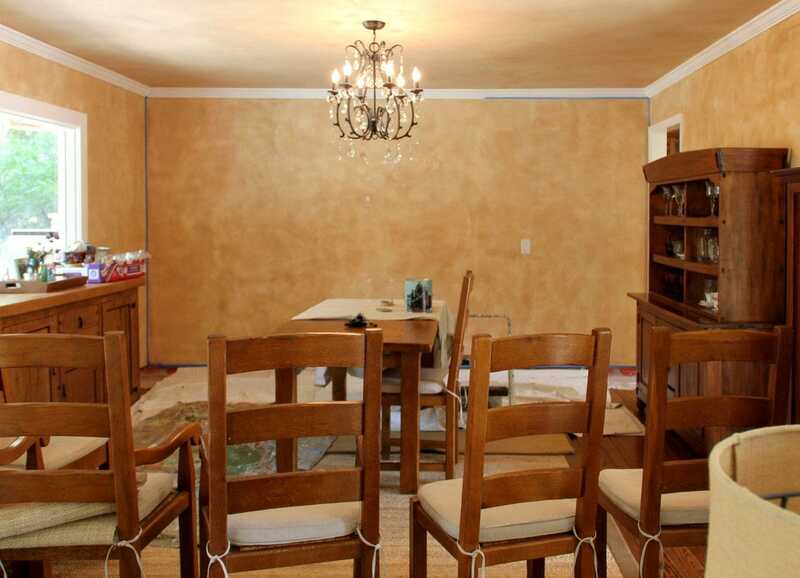 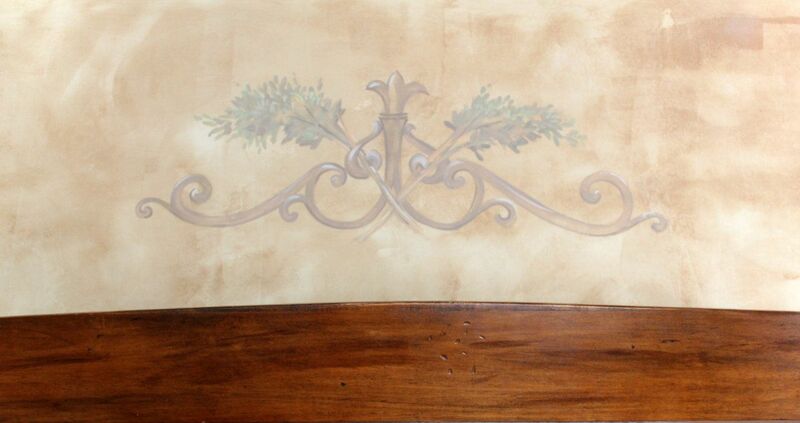 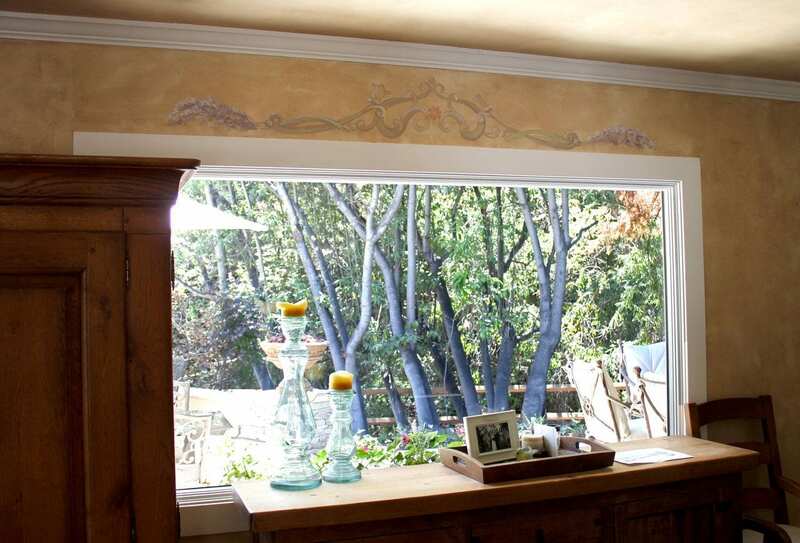 The side walls of the dining room are also accented with scroll motif that ties the whole room together.